The accessibility of the codes has helped in expanding the decent variety of the source codes. It helps in change of the source code of the site pages, and is outstanding among other approaches to enhance the source codes of the site. Web designers and developers have been utilizing this innovation as a core feature of the site development. The designer designing the site can see the source code of the other comparable sites. One of the fascinating parts of open source development is that the developers can be working in various vicinities while they are taking a shot at a similar task through correspondence discussions. Numerous such channels are frequently utilized as correspondence channels among the users and developers. W3care Technologies is the one stop answer for your site. Here, we furnish you with complete solutions for your site that incorporates redoing it every once in a while to remain advance in the competition. We provide you website with the best of administrations. Our profoundly experienced and qualified experts will give you the service of open source development. ExpressionEngine is the best open source platform for website development with flexibility and rich features. ExpressionEngine provides the freedom to develop any kind of website like ecommerce, blog, portal etc. We can use the ExpressinEngine for development as free and commercial as well. ExpressionEngine has its own set of tags for the development use in it own templates which makes it better than others. 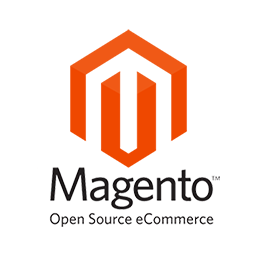 Magento is most popular among all CMS for the ecommerce website development. Magento has the all features a good CMS must have like scalability, flexibility, and other features which are best for the growth of your business. It is renowned for providing feature rich ecommerce platform which offer merchants complete flexibility and control over content and online store. Magento websites help retailers to deliver best user experience. WordPress is the fastest grown CMS for its ability of development and designing. In earlier days wordpress was only popular for the blogging but it got hands on other functionalities as well like ecommerce, business portal etc. It has vast plug-in architecture and template system. It was designed with MySQL and PHP which makes it less time consuming. WordPress websites are very innovative and high quality. Joomla also provides the open source development platform which let you develop the best web applications for the news portals, education sites, forum, ecommerce, social websites community websites etc. You can think of developing anything with the Joomla. It makes you stand as an expertise of development with the credibility of clients. We have an experienced team of Joomla developers for all your website development requirements. Drupal is one of the best open source development platforms. Its rich feature list has made it a most important content management framework for back-end system. It provides vast ability to develop websites. Standard version of drupal called as Drupal Core. There are most importantly three modules which used by the developers and these are: Core Module, Module Contributed by Drupla, Drupal Custom Module. 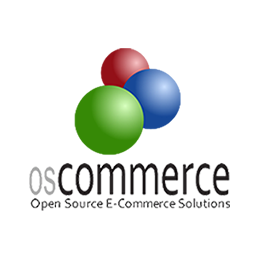 OsCommerce is a renowned open source eCommerce platform and it has broad range of features that enable developers to setup ecommerce stores promptly. We have expertise of OsCommerce who have great experience of installation, customization, module development with payment gateway and shipping integration. It also supports multilingual and currency along with zone wise tax calculation facility.